The third Black Wings volume by and large maintains the standard of the second one. By this point, Joshi has managed to establish a stable of writers who can reliably contribute something interesting whilst leaving open enough slots for new contributors to shake things up. That said, whilst I found the hit and miss ratio more or less the same this time around, I found some of the misses much more enraging than those in the previous volume. For this release Joshi bookends the collection with stories riffing on From Beyond. 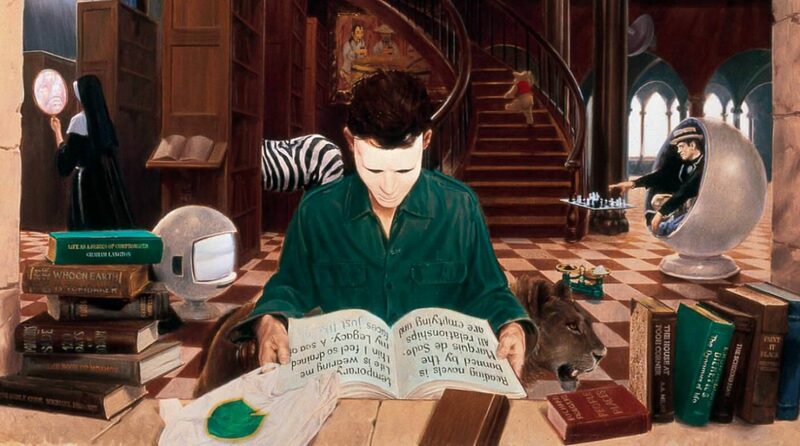 Houdini Fish by Jonathan Thomas is a decidedly modern sequel to From Beyond in which the unearthing of Tillinghast’s device makes the world go weird – and more disturbingly, makes people accept that as normal. It’s a strong starting story let down by an annoying writing tic of Thomas in which he keeps leaving out “the” and “a” in sentences. I don’t think this is an attempt to emulate dialect, particularly since he really isn’t consistent about it, and it just hurts the flow of the story. As reviewed previously, S.T. Joshi’s original Black Wings of Cthulhu collection found him collecting a bunch of all-new original Cthulhu Mythos stories which, whilst a bit hit and miss, at least managed to be an interesting exploration of the breadth of the field and, to my eyes, ended up with a better batting average than more pulp-oriented collections. I was happy to find that the second Black Wings collection managed to hit a higher overall standard than the original. Part of it is that it’s a little slimmer – Joshi realising that it’s better to have a slightly slimmer book with less poor stories in it than a fatter book with a worse hit-to-miss ratio. 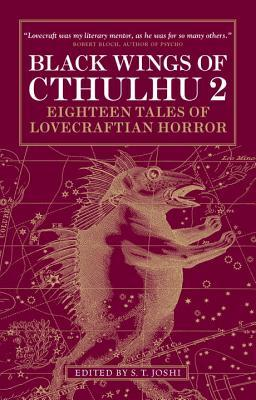 Part of it presumably comes from the fact that the original collection made Joshi’s name as a Mythos anthologist – which means that a greater spread of writers would then submit their stories to subsequent volumes, giving him a deeper bench to choose from. It was originally a comment on Shim’s review of this book. But I refer back to the book enough elsewhere that I want something of substance to point links to when referring to the first Black Wings volume, so here we are. 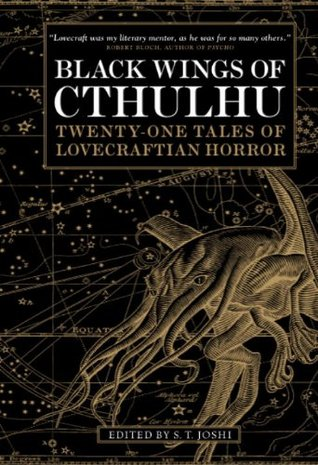 To give context: Black Wings of Cthulhu is S.T. 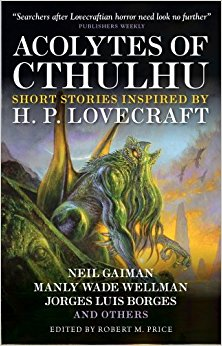 Joshi’s series of anthologies of new Cthulhu Mythos fiction. STUFF WE BOTH LIKE: I wasn’t sure about how heavily Copping Squid leans into a fear of impoverished black people, and I didn’t entirely buy how Andre convinces the protagonist to play along. (There’s a particular bluff which requires the protagonist to believe that the San Francisco police department would give a harder time to a white convenience store clerk than they would to a black guy with a deeply suspicious demeanour, and… yeah.) I think it made up for it with the sheer audacity of the horror imagery involved. 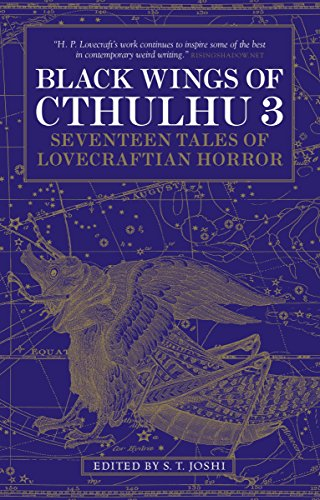 The story so far: Arkham House shapes what it means to put out a Cthulhu Mythos anthology by releasing the seminal Tales of the Cthulhu Mythos and major followups in the form of New Tales of the Cthulhu Mythos and Cthulhu 2000. 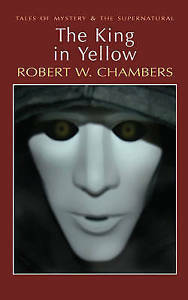 Then Robert M. Price makes not one, not two, but at least three attempts to push his vision of the fandom by producing similar “best of the Mythos” anthologies.